The problem arises in understanding SIDS because the way SIDS is studied is totally wrong! The major components that should be looked into—namely nutrition and a child’s immediate environment (environmental toxins), are totally ignored while all kinds of money and effort is spent on factors that have little to do with solving the problem! When the issue of nutrition IS raised, it is summarily rejected without investigation! Thus factors that could lessen the nutritional health of a child are not considered worthy of investigation. In other words, they’re ignored. 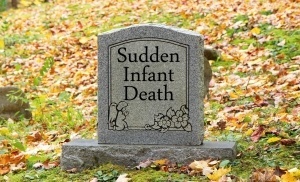 SIDS or ‘Sudden Infant Death Syndrome’ is the leading cause of death in the first six months and is rare after a year of age. Yet, it is important to recognize that SIDS is not necessarily ‘sudden’ in so far as happening without any underlying cause. There are consistent underlying variables if one knows how to look for them! This article will just give the reader a glimpse of an important controversy. It’s not really a controversy, but different levels of knowledge and understanding. It may seem trivial—a mere 6,000 to 7,000 deaths per year—but the story is compelling and each reader should derive some benefit from it. Besides, many readers will know someone with a child under one year of age and this information could save their life! 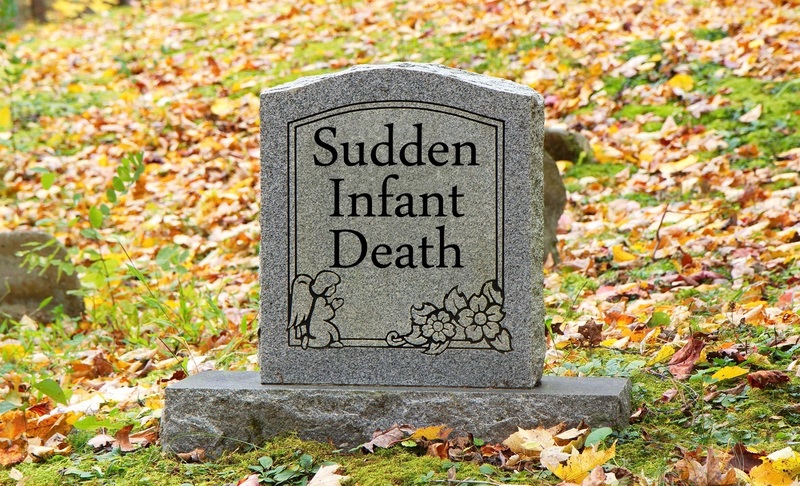 SIDS refers to sudden, unexpected death of an infant who was either apparently well or suffering from a ‘trivial’ illness which normally would not be expected to cause death. Also, autopsy findings usually fail to provide a satisfactory explanation for death. Some aspects of SIDS that have been studied during recent years include various risk factors as well as abnormal biochemical, bacterial, viral, and immunological associations. Various modern medical technologies have also been investigated and used. The more fine abnormalities are looked into, the more that is found. For example, there’s a recognition that cigarette smoking (cigarette smoke destroys ascorbic acid in the blood), in the home, increases the risk of a SIDS baby. Yet nothing has been found by mainstream researchers that dramatically reduces the incidence of the syndrome. Most authorities will not discuss any specific cause of SIDS, because by conventional medical standards, they simply do NOT KNOW what causes it! When you’re finished reading this two part article, there should be no doubt in your mind as to the major causes of this problem. There are two major factors that explain virtually all SIDS cases: acute scurvy and/or exposure to toxic fungi from flame-retardant children’s mattresses. This article will address both factors in detail. With such a result one would expect other doctors to sit up and take notice. However, Dr. K. was shocked to find that the reverse occurred. Doctors and authorities, (and later various SIDS organizations), not only ignored his work but became extremely hostile! Over thirty years ago a doctor from Australia by the name of Archie Kalakeronis (Dr. K) was able to reduce the infant mortality (the death rate of infants before their first birthday) from fifty percent (yes, that’s half!) to near zero in a very short period of time. [See his 1981 book, “Every Second Child”] He did this when he discovered that vitamin C brought ‘near SIDS babies’ back to almost ‘normal’ health within hours of their first vitamin C injections. If you, the reader, think this is crazy, that’s the same reaction he got in Australia AND in America when he came to Wash., D.C. (in 1977, 1978 and 1980) to try to discuss this issue with officials from the Centers for Disease Control (CDC). In the area under Dr. K’s control, before he implemented the vitamin C therapy, a very large number of babies died before their first year. In many cases, they had simply been suffering from—what to most observers, would be considered a ‘trivial’ illness. After suffering from listlessness, they would stop breathing and die. Autopsies failed to explain why, but vitamin C status was NEVER considered, and, therefore, totally ignored. By the way, if the reader doesn’t know it by now, if something is not considered to be a cause of xyz health problem, it won’t be considered as a factor either! When Dr. K. sought assistance from other general practitioners, specialists and government departments he was told that: (1) That nobody else had such a problem, that (2) He was obviously doing something wrong; (3) That he was not suited to practice medicine in such an area (with very poor Aborigine children) and (4) That he should see a psychiatrist because he was ‘overly concerned’. Now a simple question is this: How does a physician become ‘overly concerned’ about a fifty percent infant mortality figure? Eventually Dr. K found that provided he could treat an infant early enough he could reverse the unconscious stage or an unexplained shock by giving vitamin C in large doses. The method of administration and the dose given depended on the severity of the clinical state, but it was always intravenously or intramuscularly. According to Dr. K, the results were dramatic. The statistics demonstrated clearly how Dr. K. was able to dramatically reduce the infant death rate during the period from December 1967 to November 1975. After this time, he left the area in Australia where he had been stationed for some 15 years. With such a result one would expect other doctors to sit up and take notice. However, Dr. K. was shocked to find that the reverse occurred. Doctors and authorities, (and later various SIDS organizations), not only ignored his work but became extremely hostile! Several times he was able to demonstrate to colleagues the dramatic reversal of the shock or unconscious stage. Yet, according to Dr. K., they remained hostile. About six years ago, triplets from Westchester County were the subject of a cover story in the New York Daily News: Apparently all three stopped breathing at the same time while in their pediatrician’s office. I contacted the mother the next day and she confirmed (as I had suspected) that they all had just ‘mild colds’ and all three had recently been vaccinated (a fact that I also suspected). Obviously I recommended a modest quantity of vitamin C and caution with regards to future vaccinations, especially during a ‘trivial’ cold, to prevent any future occurrences (or ‘near death’). “What makes otherwise sane people do something like this? I can only assume that there was a large degree of hostility because of jealousy – something gets into individuals and changes their entire psychology. They become twisted in such a way that normal human responses are impossible. It is necessary for me to stress this event so that others can understand why it is that my work has been ignored. But worse was to come. I observed that in some circumstances, particularly when infants had even a mild illness that sudden collapse (shock or unconsciousness or sudden death) could occur after the routine administration of a vaccine of any type. Immediately authorities rushed to deny that such a thing happens or if it does it is so rare that it can be ignored because of the overpowering benefit of the vaccines to others. In susceptible infants, any factor that leads to the depletion of vitamin C in the blood can lead to SIDS. Such things as infection, stress or vaccinations all can lead to sudden unconsciousness or sudden shock and death. The SIDS is not a clearly defined condition. It must be considered as a multifactorial end to a complex picture. A child with low vitamin C status will have a poorer immune response and, likely a greater likelihood of succumbing to SIDS. Thus, vitamin C plays a very important, indeed a critical role that should not be ignored. Back in June of 2001, there was a major newspaper report that smoking was strongly linked to SIDS! So what? Smoking (including second hand smoke), depletes blood levels of vitamin C and therefore, if a drop in blood level of vitamin C causes or increases the likelihood of a SIDS event, then a link between smoking and SIDS would not be surprising, but expected! And as far as this writer and Dr. K (of Australia) is concerned, the problem is ninety percent solved. If other doctors prefer to think otherwise we will continue to see many more unnecessary deaths. Thus it is important to recognize that most research projects now in progress only cloud the issue without solving it. Still, there is another direction that research has taken on the SIDS front, and this aspect of SIDS research needs to be considered before leaving the subject. That vitamin C is still relevant to reversing/preventing SIDS with this second cause will become clear in Part II. Before World War II, sudden infant deaths were very uncommon. After 1948, the governments of nearly all the rich industrialized countries required treatment of baby and child mattresses with flame retardant chemicals. The most common chemicals used were phosphorus and antimony. In addition, arsenic was sometimes added as a preservative. Since the use of these flame retardant chemicals, the American SIDS death rate ballooned from barely on the radar screen before World War II to about 10,000 per year by 1980! It has since declined to about 7,000 per year in the year 2000. IT SHOULD BE ZERO DEATHS! Part of the reason for the decline may be a forty percent reduction in cigarette smoking in households across the nation (with and without children), improved diets and the greater use of vitamin C supplements. Before World War II, sudden infant deaths were very uncommon. After 1948, the governments of nearly all the rich industrialized countries required treatment of baby and child mattresses with flame retardant chemicals. When the chemicals added to these flame retardant mattresses are heated by body heat (or a fire! ), extremely poisonous gases are released. In most households is a common, ordinarily harmless household fungi known as Scopulariopsis brevicaulis. This fungi and other microorganisms consume the phosphorus, arsenic and antimony, (added as fire retardants and plastic softeners) during their normal metabolic processes. As they consume these chemicals, the fungi emit the heavier-than-air gases based on phosphine (PH3), arsine (AsH3) and stibine (SbH3). These highly toxic gases are about one thousand times more poisonous than carbon monoxide which kills many innocent people from faulty furnaces to a car left running in a closed garage. One of the most toxic gases known is called Sarin. (In the Clinical Toxicology of Commercial Compounds, 1994 Ed. it’s amongst the most toxic compounds known—rated ‘6.0’ on a scale of 1-6…mercury is 5.0, fluoride is 4.5 and lead is 4.0). The chemicals produced in these flame-retardant mattresses are about as toxic as sarin! This is the same chemical used by Iraq against the Kurds and by the criminal during the 1995 Tokyo terrorist subway attack. Sadly, approximately one million babies have died ‘suddenly’, worldwide as a result of exposure to these toxic gases! The toxic gas is produced as the baby warms these chemicals. Perspiration, dribble, urine and a high pH enable the fungi to grow and quickly generate the toxic gases. Also, if there is any antimony in the mattress, this can be converted to stibine, which is toxic enough to kill a baby! Breathed for an extended time even in minute quantities, these nearly odorless gases can interrupt nervous impulses from the brain to the heart and lungs. This is what shuts down the central nervous system, stops heart function and causes breathing to stop. It is true that most of these gases quickly dissipate away from an infant child. But if enough gas accumulates to a fatal dose, the parents know nothing of it until their terrible discovery, typically the next morning. Now the parents suffer from enormous guilt reactions with unbelievable negative consequences. The truth is the parents did NOTHING wrong! To prevent crib death, an appropriate gas-impermeable barrier is needed between mattress and baby. An inexpensive slip-on mattress cover called BabeSafe® — invented by New Zealander T.J. Sprott, PhD — came to market in New Zealand in 1996. Among one hundred thousand or so babies sleeping on this/these product(s) there and elsewhere, not one crib death has been reported. An equally successful alternative is to wrap the entire mattress using thick, clear polyethylene plastic. Until a safe protective cover is used, (such as BabeSafe®), or when its use might not be feasible, mothers can reduce (but not eliminate) the risk of SIDS by elevating the head end of the crib an inch or two. Doing this will allow these heavier than air toxic gases to flow to the foot end — and dissipate away to the floor. In addition, consumption of adequate amounts of vitamin C (see Part I), will dramatically reduce and perhaps eliminate SIDS. A rolled towel prevents the baby from sliding. According to an informal test reported in the 1960s by an American metropolitan newspaper, that procedure prevented many crib deaths. The result, mysterious at the time, is now readily explained by the research on toxic fungi. Also, it is important to ensure that your baby sleeps face up. A bassinet or crib with solid sides would trap dangerous gases (in an unprotected mattress), and therefore, should be avoided. That household fungi can produce various toxic gases called arsines, has been known for over a hundred years. Although thousands of children were killed by this gas in Europe throughout the 19th century, it was not until 1892 that an Italian chemist discovered its cause. Nearly a century later, a Dr. Sprott proposed a toxic gas explanation for SIDS in 1986. In 1989, Mr. Barry A. Richardson, a widely published British consulting scientist and expert in materials degradation independently came to the same conclusion, and then further refined and elaborated the connection to crib death in the early 1990s. Dr. Sprott’s 1996 book, The Cot Death Cover-up? provides a clear explanation on how toxic gases can and do cause SIDS. In 1989, a British researcher, Peter Mitchell, found that the risk of SIDS doubled from a mother’s first baby to her second and doubles again from the second to the third baby. Others had noticed this factor, but couldn’t explain higher SIDS risk among a mother’s later babies. The toxic gas explanation explains it perfectly since fungal spores established during prior use will multiply in those mattress—most likely in poor families, that are re-used from one child to the next. Poorer mothers can’t afford new mattresses so they simply re-use the ones they have. If SIDS researchers were honestly looking at ALL possibly causes of SIDS, they wouldn’t ignore the toxic gas cause of SIDS. In Taiwan from 1988 to 1992, babies born second to fourth were 70 percent more likely to die of SIDS than the first; risk for fifth or later babies was up 130 percent. Not knowing about toxic gases and their link to SIDS, the researchers did not understand their findings. Yet, the toxic gas hypothesis explains these statistics just fine. Unfortunately, SIDS organizations in the United States and Canada have NOT investigated the link between toxic gases and SIDS and, therefore, do NOT have these statistics available. The two discoveries, (1) One hundred percent protection by BabeSafe® and (2) the doubled, then quadrupled risk in subsequent babies, appear to destroy theories blaming SIDS on other causes. Still, the link between vaccinations and SIDS should not be discounted for the following reason: Vaccinations can dramatically reduce a child’s blood levels of ascorbic acid. Ascorbic acid can neutralize the alkaline gases that are produced by the toxic fungi, thereby, saving a child’s life. Therefore, even though vaccinations may not be a direct cause of SIDS, in a susceptible child, it can contribute to their untimely/unexpected death. It is no wonder that vaccinations are strongly associated with SIDS. What critics call a ‘temporal association,’ may be more than that! A mattress developed in New Zealand that is not treated with dangerous flame-retardant chemicals has been used by over 100,000 children. These ‘BabySafe’ mattresses have been used with no child death (on any such mattresses used). The toxic gas hypothesis explains why having a child sleep face-up, reduces their risk of dying. These gases are heavier than air and the closer a child’s mouth is to their mattress, the greater would be their exposure to these dangerous gases. Toxic gas output from infants’ mattresses declined rapidly in Britain after Mr. Richardson publicized his hypothesis in June 1989, and again in December 1994 after he and Dr. Sprott dramatized the problem in “The Cook Report,” a highly-rated program on BBC television. Parents bought new mattresses that lacked the potential for toxic gas creation, or properly wrapped old ones. Manufacturers quietly began to remove the chemicals, which fire safety regulations had required. Before that, the SIDS rate in Britain had been rising; it had reached a tragic new peak in 1986-88 when more phosphorus was added to baby mattresses. It fell for the first time immediately after Richardson’s 1989 announcement. The ongoing, first-ever decline in Britain’s SIDS rate accelerated in December 1991, after “Back-to-Sleep” publicity urged parents to put babies to sleep face up. The toxic gas hypothesis explains the nearly worldwide drop in crib deaths, which followed that campaign. Incidentally, New Zealand was the first country to make face-up sleeping a national program, after research there proved its effectiveness. Recent research, presented for the first time at the SIDS 2000 conference (Auckland, New Zealand, February 2000) by professor Bill Cullen from University of British Columbia, proved the generation of an arsine from sheepskins containing arsenic. The sheepskins tested were provided to Dr. Cullen by Dr. Sprott, who had obtained them from parents who had lost to SIDS babies sleeping on the very same sheepskins. There’s much more to this topic, but hopefully, this material has convinced you that no child needs to die from SIDS. Originally published in the January and February 2012 editions of Optimum Wellness Strategies newsletter by Thomas Petrie. Reprinted with permission. Clean & Healthy New York  provides information on some manufacturers and the use of flame-retardant chemicals in infant mattresses  in the U.S.